Noise pollution is a key factor for city councils looking to guarantee the quality of life of their citizens. However, current city lifestyle, mainly conditioned by mobility and leisure, often makes it difficult to guarantee such comfort. The complete Kunak Noise N10 system monitors the noise level in critical points of the city, providing data 24 hours a day, 7 days a week and allowing the configuration of alerts when the maximum noise levels are exceeded. 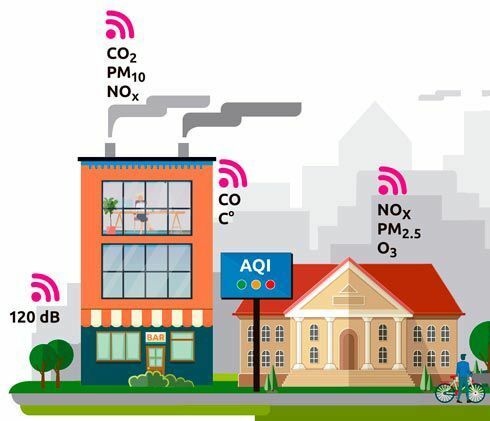 A complete solution, -from the sensor to the cloud-, created to aid in the design of efficient policies and give citizens easy access to information on any Website or Smart City platform.